…The Chili Cheese Toast, which was recommended to us, was strictly okay: the green olives and green bell pepper did add to the flavour. 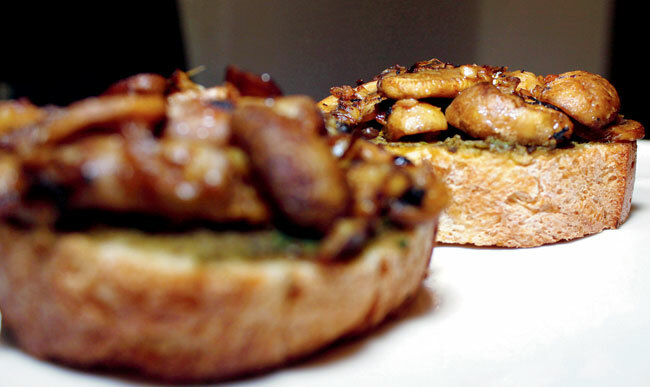 But the Olive Tapenade and Mushroom Bruschetta is a delight. Loaded on the bruschetta, moist and bursting with flavours, it was devoured. This entry was posted in Chalkidiki Olives, Inolivia olives, Inolivia Pate and tagged CHALKIDIKI GREEN, Chalkidiki Green Olives, Chalkidiki Olives, INOLIVIA pitted, Inolivia Rich Olive Flavours, olives tapenade. Bookmark the permalink.